Umapathy Farms is a family owned business set up by Mr. S.Umapathy in 1983. Farm has two divisions, horticulture and poultry. Horticulture division is focused on coconut hybridization and lemon plantation. Farm is located on Pollachi Road, Palladam, Tamil Nadu. Tender coconut is sold on an average at Rs. 16/piece. 20% of farm produced coconut is sold as copra and tender coconuts. 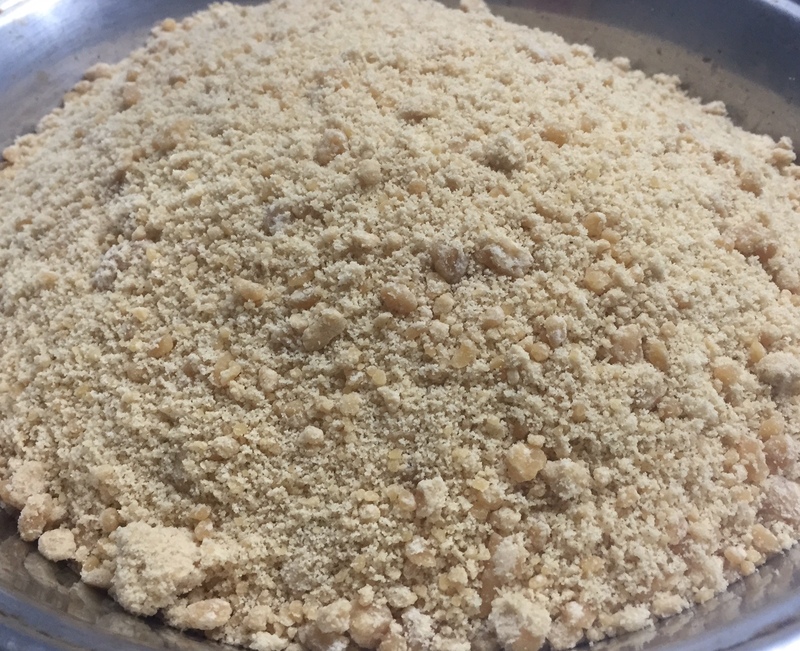 Rest 80% is used for coconut hybridization and for producing value added products namely coconut sugar, syrup and honey. The value added procedure is same in the beginning but it later changes with respect to the product. “The first half of the production procedure is same for all three products. The second half varies accordingly but the technology used for all three is the same,” he adds. 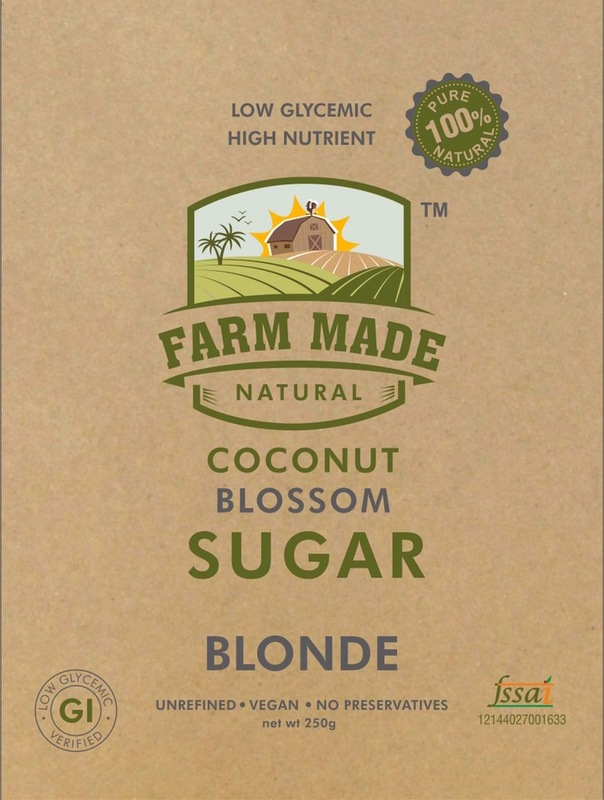 Coconut sugar is claimed to be a complete 1:1 replacement for sugarcane based sugar. It has a caramel flavour to it. It tastes very different from sugars available in the market. 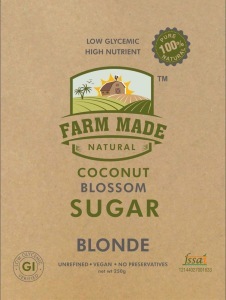 “Our coconut sugar is produced without any preservatives and additives. It is 100% natural. 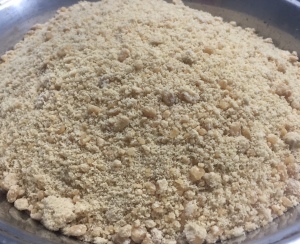 The difference between our sugar and the sugars available in the market is that the raw material we use for making coconut sugar is collected in controlled and protected condition, it is insect and dust free, which is not the case in most of plam sugars currently available in the market,” informs Mr. Raam. “Coconut sugar is the only product which is ready for sale and we have started marketing it in organic shops. Soon it will be available in metro cities,” he adds. All the products are tested at various stages as per the food processing protocols. Commercial sale of coconut sugar is expected to take place mostly before March 2015. It shall be sold under the brand name Farm Made Naturals. Poultry is another vertical of the farm. Mr. Umapathy took up poultry farming in 1983 because of the favourable climatic conditions required for the birds. He started with1000 birds, “Currently we have around 1.5 lack layer birds, with a daily production of 90,000 white eggs/day,” he adds. The poultry farm unit is semi automated where feeding systems are completely automatic but eggs are collected manually. 52% of eggs are sold locally in Palladam and Tirupur while rest in Kerala. Eggs are packed and transported in standard egg collection trays. “Our selling price per egg varies between Rs.2.95-3.80, depending on the market,” shares Mr. Raam. Lemon plantation is spread over 30 acres. “We predicted increase in demand of lemon hence started with lemon plantation. In addition lemon tree requires very less water,” he informs. Annual produce varies a lot due to change in climatic condition. Lemon is sold at, “Approximately Rs. 60/kg,” he shares.